Including computers and technology in education will open many doors for the students. They are everywhere and used in most every situation a person encounters throughout their everyday life. Computers are a vital part of life, from the checkout at the grocery store to the chime of the door as you enter and exit your car. The computers that are used in education are particularly important for students and teachers. 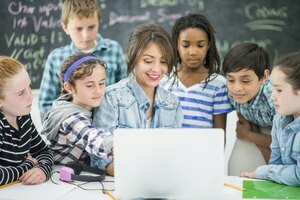 The importance of computer technology can't be underestimated, as the use of it continues to evolve both in school and the workplace. The education system has wrapped the computer deeply into its curriculum due to its importance in society and culture. Children and adult students take computer courses to further their education not only about computers but also math, reading and social science. Knowledge of computers is required for most professions, from medical applications to industry processes. Educators use computers to assist in teaching students the fundamentals of mathematics and other subjects that have complex formulas that could have been difficult for a student to grasp in the past. Students can use them to write as well as research their papers and homework. 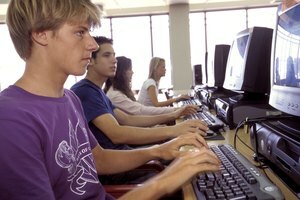 Computers also allow students to explore subjects outside of their wheelhouse to expand their interests far beyond school books or lectures. As soon as a child enters the classroom, he is inundated with technology, from computerized screen projectors to tablets and desktops that print out grades and daily lessons. The importance of computer technology can’t be downplayed when it comes to education. Students benefit from using the computer to hone math and comprehension skills as well as to learn how to further their careers by possessing the latest in technological skills in the workplace. 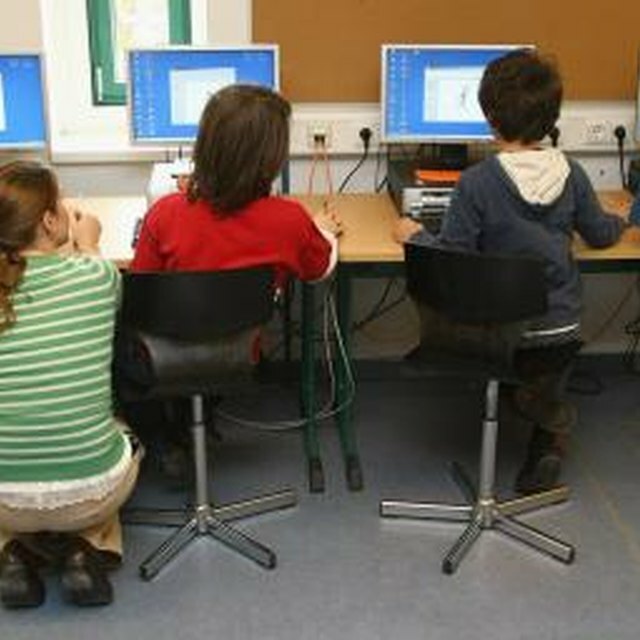 The role of the computer in the education system is twofold. It trains students while they also become familiar with the latest in technology, which helps them to manipulate the user-friendly tools that a computer requires. Technology can help a teacher to understand how a student learns. It can then also assist the teacher in understanding what techniques work best for a child. Teachers realize the importance of the computer in school education as an educational tool, and young students are also demanding to know how to use the latest technology for their benefit both in and out of school. Students today are typically native to technology, meaning that if they aren’t challenged in the classroom, they will find a way to understand technology and its uses outside of the classroom or home. Technology allows them to learn at their own pace. That can mean either catching up to peers at younger stages or excelling and finding their own path at later stages of their education. McGee, Kimberley. "Importance of Computer Technology in Education." Synonym, https://classroom.synonym.com/importance-computer-technology-education-6628139.html. 23 August 2018.